Go gluten-free in Feburary for the Kehres Health New Month's Resolution! Basically, any type of grains or flour contains gluten. 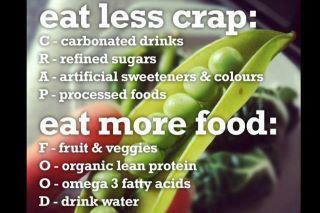 But here is a list to help you determine what you should and shouldn't eat. There are gluten-free alternatives to some of the foods above, such as flour and beer. In Saginaw, Oppermann's Cork 'N' Ale carries gluten-free beer and Kehres Health & Chiropractic has gluten-free flour. Who doesn't love soup? It's a great way to make a lot of food to eat in the upcoming days, and is always the best meal for a cold day. We usually make a double batch and freeze half of it so we always have a healthy meal on hand. This soup is very easy to make and also very healthy! Heat the oil in a large pot over medium heat, add the onion, and cook stirring until softened but not browned, about 3 minutes. Stir in the chili powder and tomato paste and cook for 30 seconds. Pour in the broth, add half of the cilantro and bring to a boil. Boil uncovered for about 10 minutes. Add the chicken and black beans. Add salt, pepper, fresh garlic and cook for 2 minutes. When serving squeeze lime into the soup, finely chopped cilantro and chunks of avocado. For more Kehres Health recipes, click here. This article, Witchery, is by Dr. Rebecca York of York Chiropractic in Bay City, Michigan. Be sure to check out her blog yorkwellness.blogspot.com and her new site bohograce.com. So a patient tells me yesterday, "I've had this back pain for years and I've tried everything! Prescription drugs, ibuprofin, physical therapy and now they want to do surgery. My daughter suggested I see a Chiropractor. I'm so desperate, I'll try anything!" I was annoyed. Not at my patient, but with the world. Now in rare -- and I mean RARE occasions (i.e. fire burns, amputations, near death experiences, horrific car accidents) we are all grateful for such emergency treatment and intervention. But, our first choice for our lives and health should be self-empowered holistic, natural and nutritional preventative wellness care. And clearly, drugs and knives and medical intervention and treatment should be the last step. Absolutely the Last. Desperate. Step. In other words: In today's modern terms our society still believes in witch-trials and Chiropractic is witchery. Those same ridiculous fears of "something different" are just as alive today as it was in the 1600's. And after three children born at home, I can attest, everyone in America scared to death about birth and are sold on the idea that only safe place to birth is at the hospital. You see, with my home-birth, breast-feeding, anti-vaccine choices, society is afraid and burns me at the stake. Isn't it funny and deeply ironic that when we are self-empowered, make our own choices, especially outside-the-normal choices, and simply trusting ourselves... we are deemed crazy? But, when we give up our power, fore go our own self-healing, dismiss our own capabilities and abilities, turn our minds, choices, and lifestyle over to the government, god, medical profession, drugs, surgery, it is completely acceptable? As if we are not worthy of our opinion and choices. We must do what-every-body-else-is-doing to be part of this society, or else, you will be burned at the stake. Or for now, you'll simply be considered a last "desperate" resort. We are, indeed, a crazy, crazy world. So here is what we do: 1. Things that are natural, non-invasive, and self-healing, consider that your first priority. Consider things that involve drugs, knives, a diagnoses as last and desperate resort. 2. Question what "everyone else is doing." Just because "everyone else is doing it." Doesn't mean it's right. Case in point: There were many Nazi's. York Chiropractic is located at 3741 E. Wilder Road Suite D Bay City, MI 48706. Contact Dr. York at 989.686.4609 or RebeccaYorkDC@aol.com. Learn why you should sleep more in the winter and how more sleep can help you lose weight. 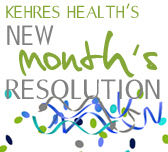 Take the Kehres Health new month's resolution! January's resolution is to go to bed by 10:30 pm. Should I Eat the Egg Yolk? Eat the whole egg, not just the yolk. They are made in nature together and are meant to be eaten together. Local pastured eggs are the best. 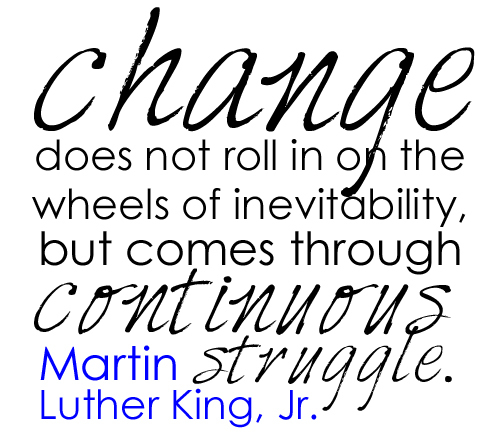 In 2012, I challenge you to do a new month’s resolution instead of a new year’s resolution. This year, let’s celebrate accomplishments and re-focus on new goals each month. On the first of every month, a new month’s resolution will be posted on DrKehres.com. Share your updates in the comments below or on the Kehres Health Facebook page. Articles and tips will be posted with each resolution. Make your health a priority throughout the year! January resolution: Go to bed by 10:30 pm every night. Sleep is a crucial part of your health. Without enough sleep your body cannot heal and recover. Following the proper sleep cycle, our bodies should be ready for bed around 10 p.m. Throughout the day our bodies go through a variety of physical and mental stressors, and sleep is the time to rebuild and repair our muscles and brain. Between 10 p.m. and 2 a.m. our bodies do most of the muscle repair, and after 2 a.m. mental repair takes place. If you go to bed at midnight, you will miss two hours of physical repair potentially causing you to wake up feeling tired and even sore, as your body didn’t get to finish repairs from the night before. The more you can do to get back in sync with the sun’s cycle, the better sleep you will have and the more energized and restored you will feel the next day.